OPEC released a report yesterday which predicted that non-member countries, mainly the US, Canada and Brazil, will start to increase their output, thus reducing demand for OPEC produced oil by 300,000 barrels a day compared with 2013. The announcement triggered a slight pullback for crude prices, with WTI losing $0.25 to $94.05. Although yearly inflation has been tamed, the 0.3% rise in US CPI was the largest gain since last June and may have fuelled fresh inflation fears. Investors were quick to jump back into gold, pushing the precious metal a tad higher to $1,242.3. Interestingly, the gold market has managed to stay on a sideways course over the last two months. 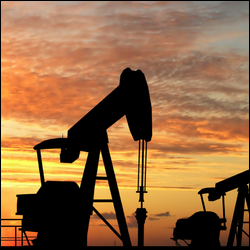 The US Department of Energy's weekly inventories report showed a massive drop in crude oil stockpiles, with a fall of 7.7 million barrels compared to expectations of a 0.7 million barrel fall. With inventories plunging to their weakest level in nearly 22 months, it wasn't a surprise to see WTI crude prices rallying by $1.76 to $94.31. Upbeat economic data in the US did its usual duty by further eroding gold's appeal, sending investors into higher yielding assets. Renewed tapering conjecture discarded the last Non-Farm Payrolls report and put gold on a downward trajectory once more. The precious metal lost $3.2 for the day, closing at $1,241.7. The rise in US retail sales, which is often considered to be the main driver behind US growth, triggered some bargain hunting in the energy sector on expectations of a rise in oil consumption. West Texas Intermediate gained $1.01 to $92.56 per barrel, discarding worries over the extra output from Libya and Iran, where the regime has seen positive discussions the West. Good news for the US economy sparked fresh speculation that the Federal Reserve will continue to scale down its bond purchasing, which in turn reduced the need to preserve wealth using alternative assets. This meant that gold lost $7.8 to $1,245 yesterday, with the spread trading market still at the same levels seen during early December last year. Crude oil prices resumed their downtrend on the back of news that Iran has agreed to reduce its nuclear program as of 20 January. This increased expectations of a rise in Middle Eastern oil supplies and so WTI crude oil fell back by $1.28 to $91.54. Some second thoughts regarding the pace of US economic recovery continued to allow the gold market to rebound slightly. The precious metal managed to gain $4.8 to $1,252.9, aided by ongoing strong physical demand in China. Weaker than expected growth for the US payrolls report easily spilled over into the energy sector, giving crude oil prices time for a breather. Nevertheless, US crude saw an anaemic gain of just $0.43 to $92.70 and it's difficult to imagine a major change in the market's outlook whilst the inventories glut remains in place. For gold prices, Friday's Non-Farm Payroll results were the equivalent of another easing in the monetary policy. The disappointment regarding the pace of jobs creation triggered speculation that tapering will now happen more slowly that initially thought. As a result, gold prices rallied by $19.5 to $1,247 but, whilst we saw a gain on Friday, we cannot discard the possibility of further turmoil along the way.